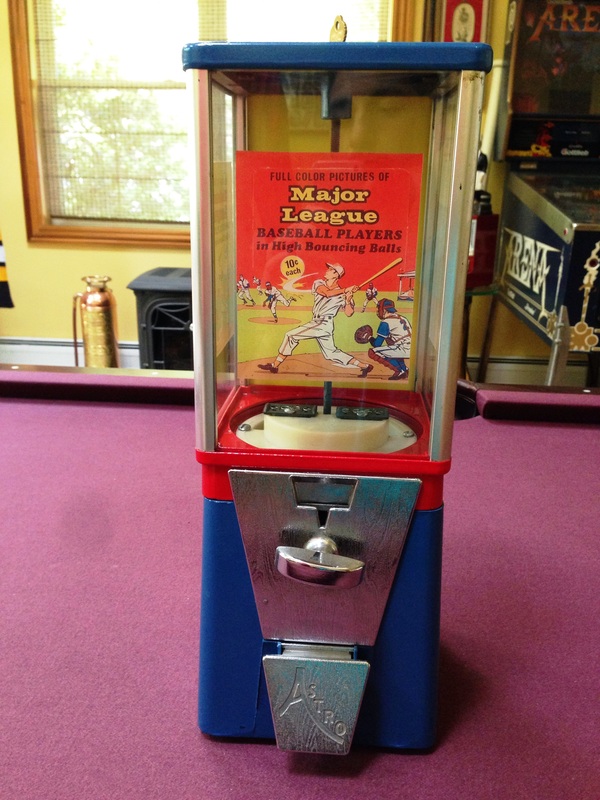 Nice working condition Baseball themed gumball machine. Has been professionally restored & cleaned. Lock & Key are working & New. Restored finish looks great! 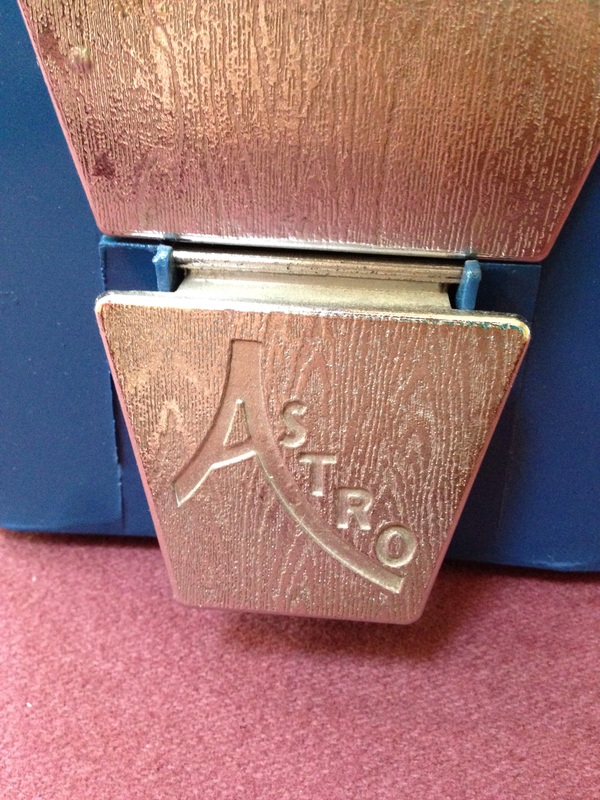 This is a Astro Brand machine. 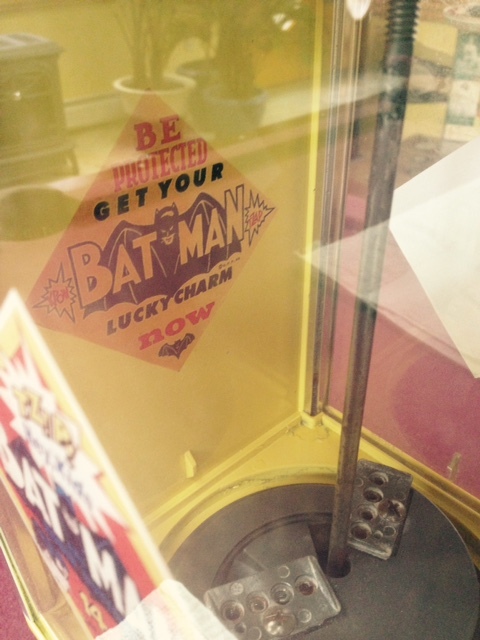 Labels have 10 cents on them but machine is set for Quarters. 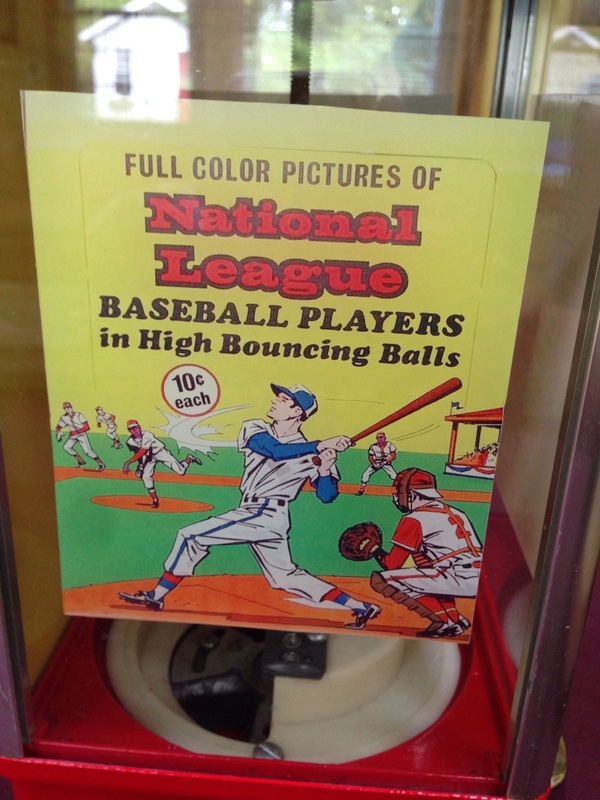 3 Awesome pics of 1970 Chemtoy Superball Displays that are copied from original advertising & are reverse decals that are permanately adhered. Front & side panels are glass! Back panelis in Blue plexiglass. Will be wrapped seperately in package. 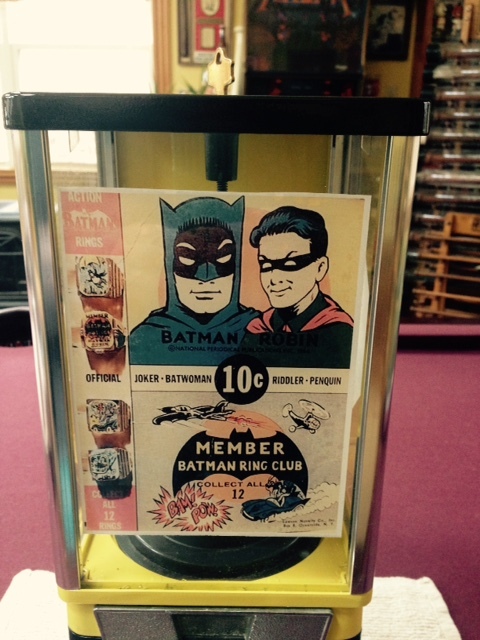 Restored Vintage Eagle 1966 Batman Gumball Vending Machine- 4 Decals Awesome!! 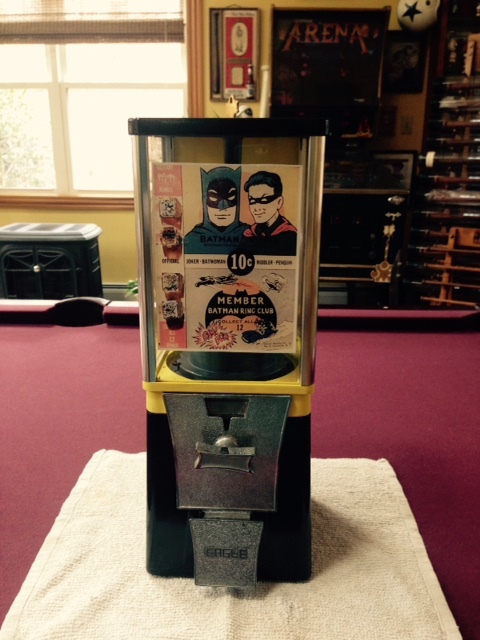 Nice Early Oak Brand Vending Bubble Gum Machine Restored with Reproduced Displays from Original Artwork. 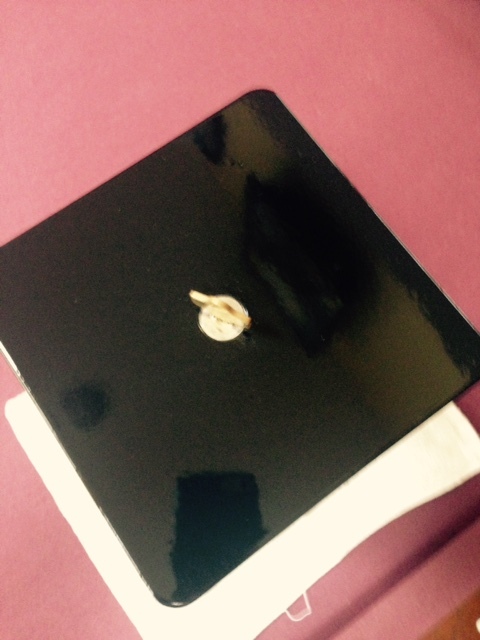 Lock & Key are New & work perfectly. Machine has been profesionally cleaned & Repainted ready to use. 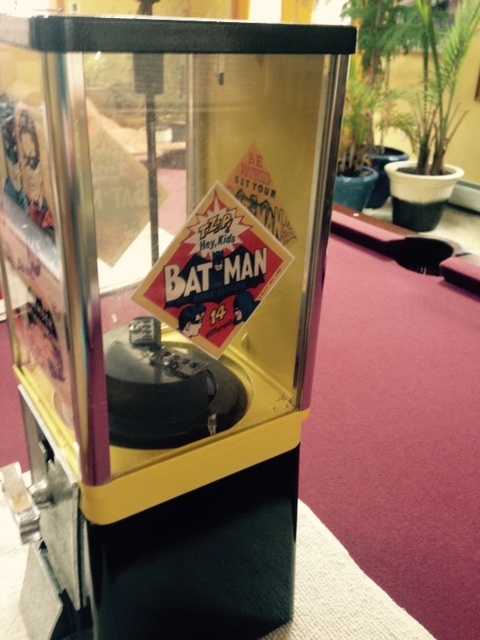 Mechanism on Machine will take quarters - Not 5 cents as advertised. Has 2 Displays - 1 on front Panel & 1 on Back Panel. Both are reverse decals that will not come off. 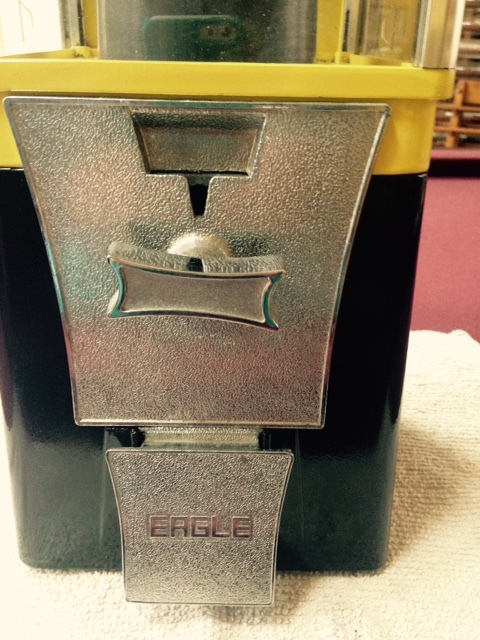 Awesome Restored Eagle Brand Vending Gumball Machine!! In Working Order. 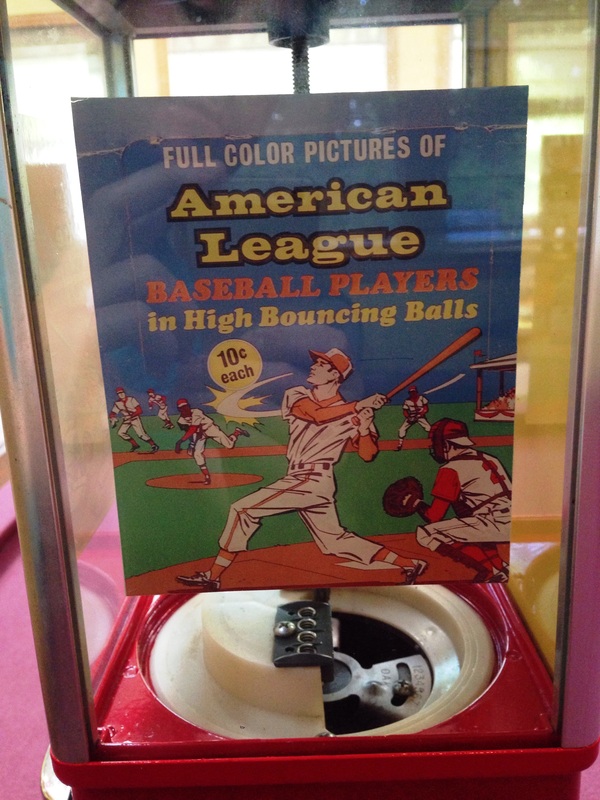 Has Front Display of 1977 Star Wars w/ Darth Vader Bubble Gum issued by Topps. Picturing 4 Beautiful & colorful Restored & Reproduced Displays. Side Panels have Yoda w/ "Return of the Jedi". Back Panel Pictures a Fighter Plane. 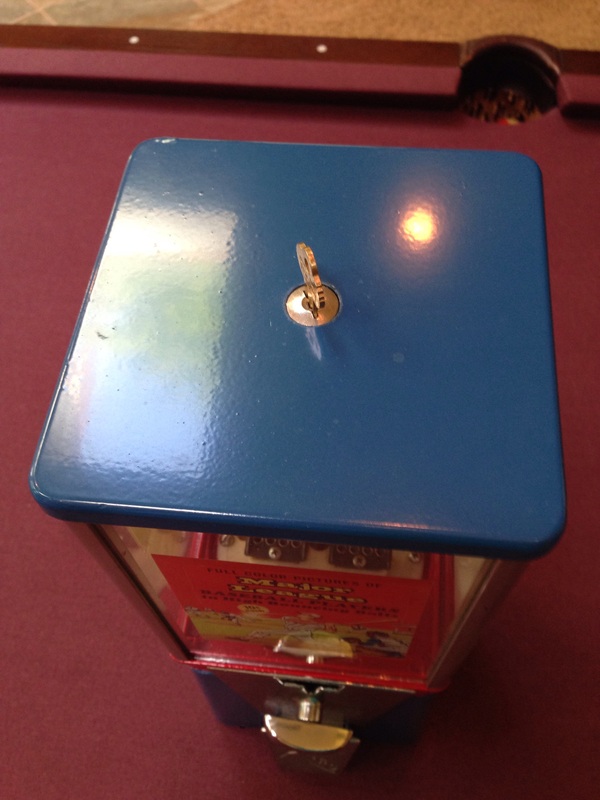 Comes with lock & key. Machine has been completely cleaned & restored. Artwork on glass has been restored & is new. 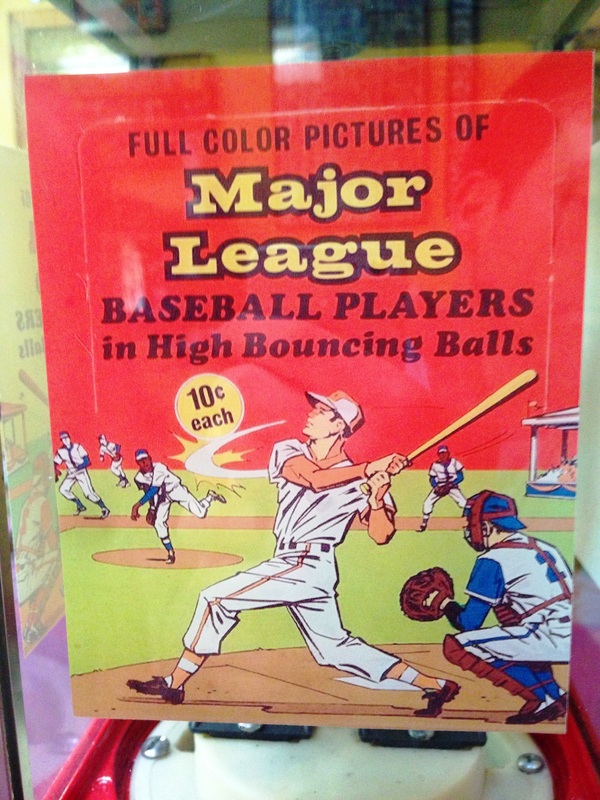 Brings you back to going to amusement parks & getting these back in the'70s . SOLD OUT IN STOCK CURRENTLY. CONTACT ME FROM "CONTACT US" TAB ABOUT ANY CUSTOM MACHINE YOU MAY WANT MADE UP.